Paint different ethnicity woman faces. This video show you how to paint portraits for character design. Paint portrait character design technique for concept artist. You can scroll down further to see step by step images with instruction. In this lesson, I will show you a tutorial, tips and technique of how do we paint face or portrait of multi ethnicity for any video game. Many who have never involve in game or movie production often wonder why do we use digital tool instead of traditional media. Photoshop is a wonderful tool to paint and that cannot be without a Wacom tablet. For one of many reasons that I will show you in this tutorial, Photoshop of any professional computer painting program will save you a lot of time, sometimes it can save you days worth of work. In this tutorial, what I am doing is I am creating a facial feature template for one character’s face from scratch. Like many of the tutorial in this blog I start sketching from just line work (quick drawing or sketch) then scan it into the PC. *Note* Most of the time, I usually start sketch inside the program, Photoshop. Then I paint a base color on to the figure. After I get the shape of her facial feature how I want, then I will finalize the painting design for the character. To see more in dept on how I design or draw face go see How to draw face, Drawing face step by step, and How to draw a man face comics. Once I finish painting her face, I then have a master template for more female character design. 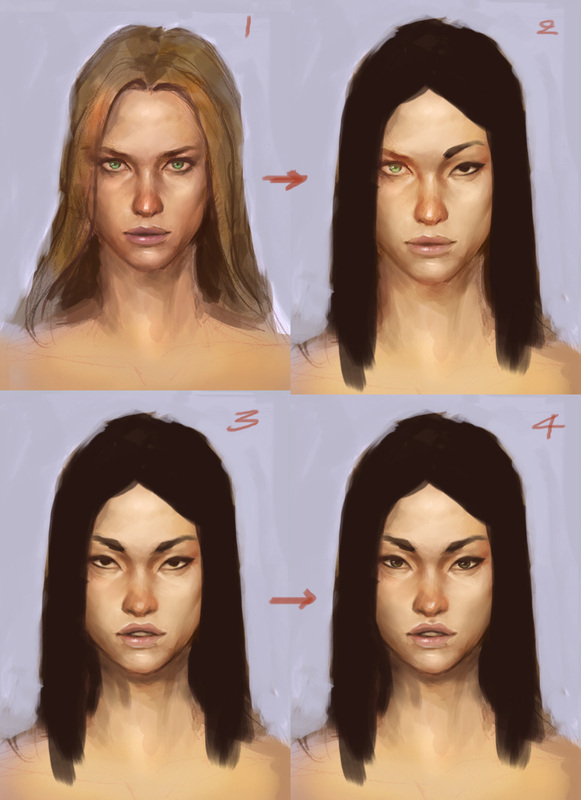 Though, this one I just show you the attractive female face design with similar feature and multi ethnicity. You can also manipulate the shape of the face and make her thicker, thinner, older or younger. It is all up to you. Here is the first original face I design and it will be use as a template for more design. After I have the first facial feature for design, I can just paint over make her skin lighter or darker. I can paint her eyes to be different then nose, lips, overall shape of her face and it will take a lot less time than start a new face from scratch. 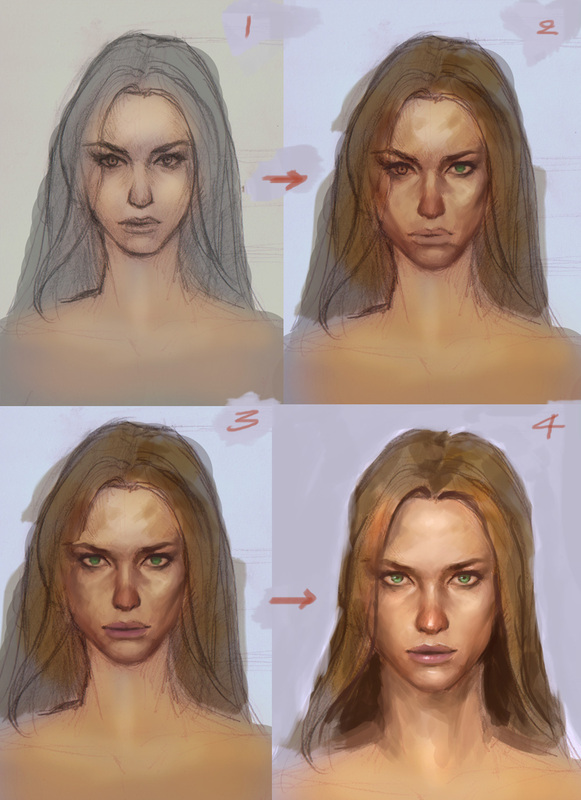 This technique is widely use among concept artists when they have to design face for a character in detail. We also do a lot of this technique with armor and a lot of design we can implement to. Thank to the technology like digital painting and Photoshop. And then face number 3 into African beauty with no sweat.